Keynsham treasures see the light – briefly! The ‘museum store’ is next to where you drive your garden waste and household rubbish in Pixash Lane. 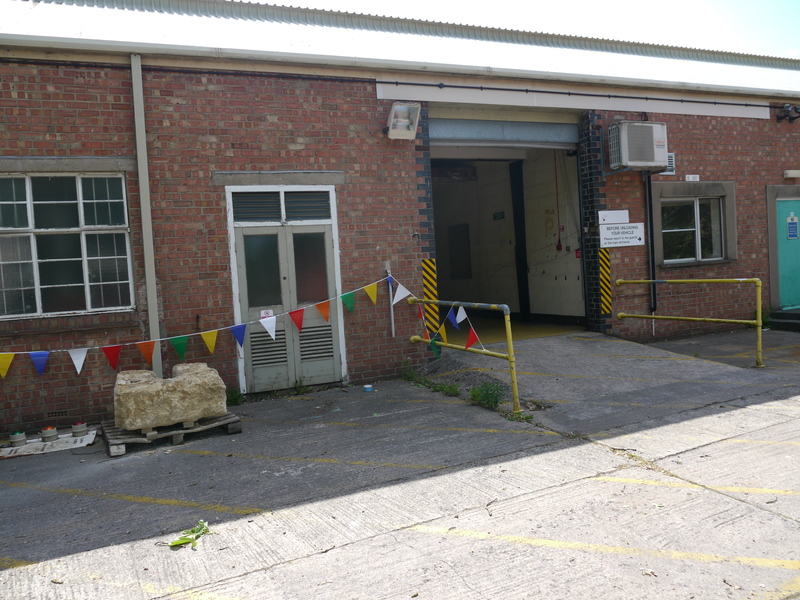 Next door to the Recycling Centre in Pixash Lane – where the A4 through Saltford reaches its border with Keynsham – is an old printing factory which has been called into service to help B&NES out with a problem. Here’s where you go in! 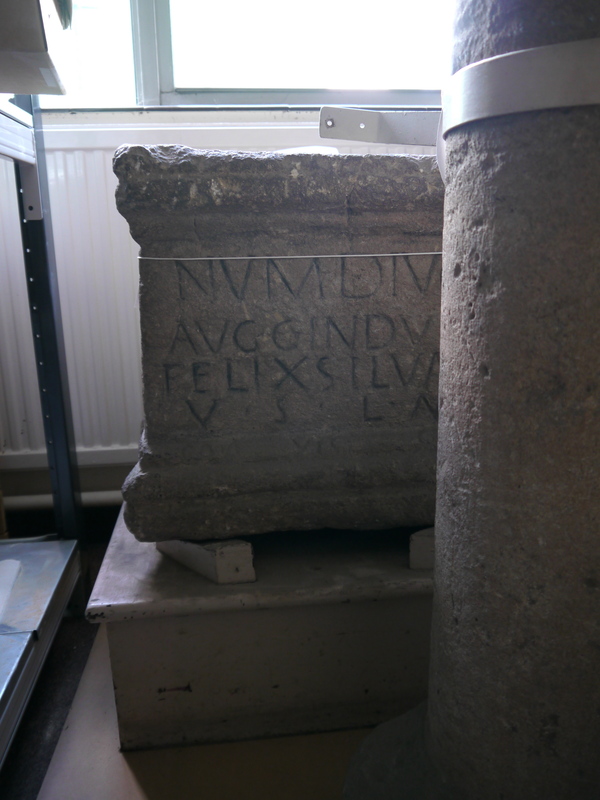 It’s become the temporary repository for the Roman and Mediaeval treasures that used to be stored in two basement rooms beneath Keynsham’s old town hall. They include objects from Keynsham Abbey – excavated in the 1960’s prior to the building of the Keynsham by-pass which subsequently ran through it – and Romano-British material from the Cadbury’s Somerdale Museum , which closed in the 1980’s, and from a larger villa discovered during grave digging in the town’s public cemetery. Elsewhere in the Virtual Museum archives you will find stories about Romano-British villas excavated in the area and the need – according to the Director of this Cyber Museum – for a proper Keynsham Institution to house all the heritage that so rightly belongs to this ancient market town. The Pixash Lane store was briefly opened to the public today (Saturday, May 25th) and was quite busy during the time l was there taking photographs. Apparently the Keynsham Voice – a local and very informative magazine – had run a story about the event. 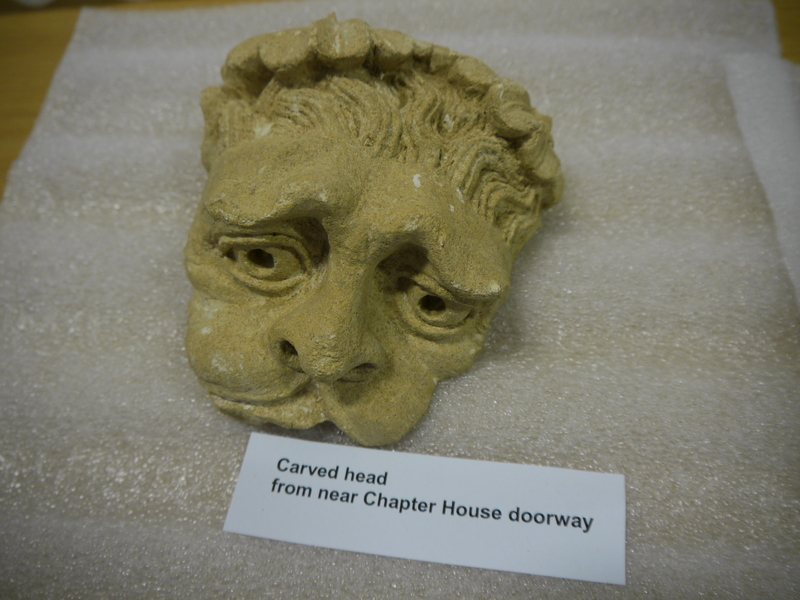 Carved head from Keynsham Abbey Chapter House. According to the ‘blurb’ on display at the temporary stores, Bath and North East Somerset’s Roman Baths Museum is recognised by English Heritage as the repository of archaeological material for the whole of the authority district. 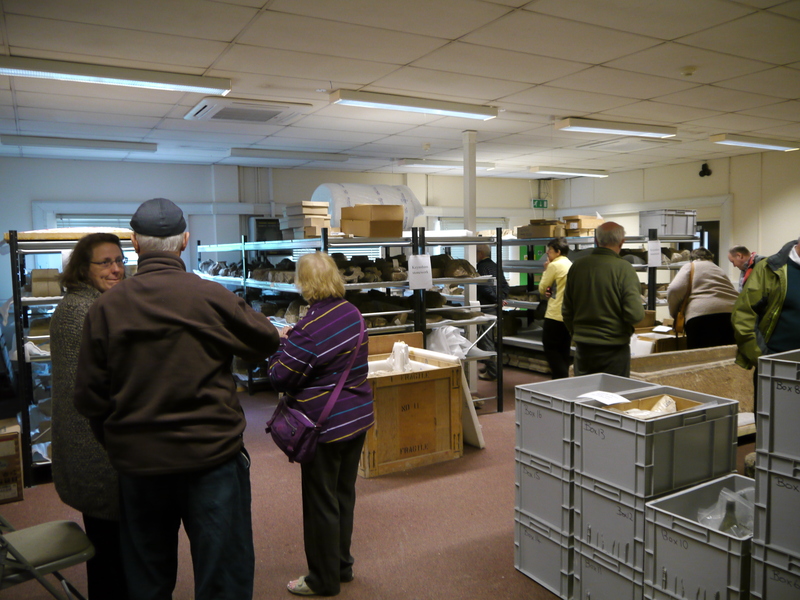 The ‘collections’ are looked after by a small team of professionals with a background in archaeology . With the demolition of the old town hall – prior to redevelopment – the contents of those two basement rooms were moved to this empty factory store. I quote from one of the display boards: ‘ Having worked with local people, particularly the Keynsham Heritage Trust, to explore ways to display and interpret these exciting finds, we are now pleased to be working with the Council’s Major Projects Team to put displays in the new Community Centre. This will be built as part of the new development on the site of the old Town Hall, and is due to open in 2014. Some of the fabulous mosaics on display. 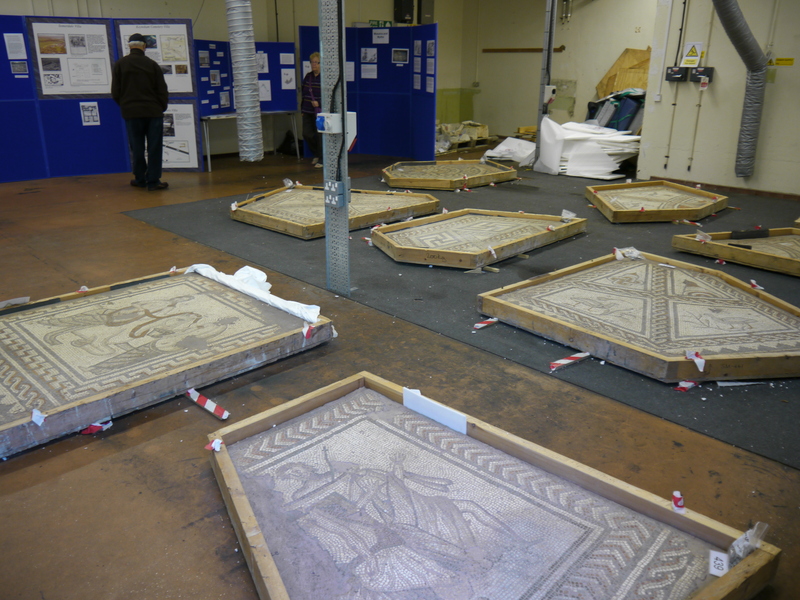 On display today were objects from the two Roman villas discovered in the Keynsham area. A smaller one on the Somerdale factory site – which was partially reconstructed just inside the gates of the main factory entrance – and the larger – mosaic rich – Roman House excavated in 1922 in a corner of the town’s new public cemetery. 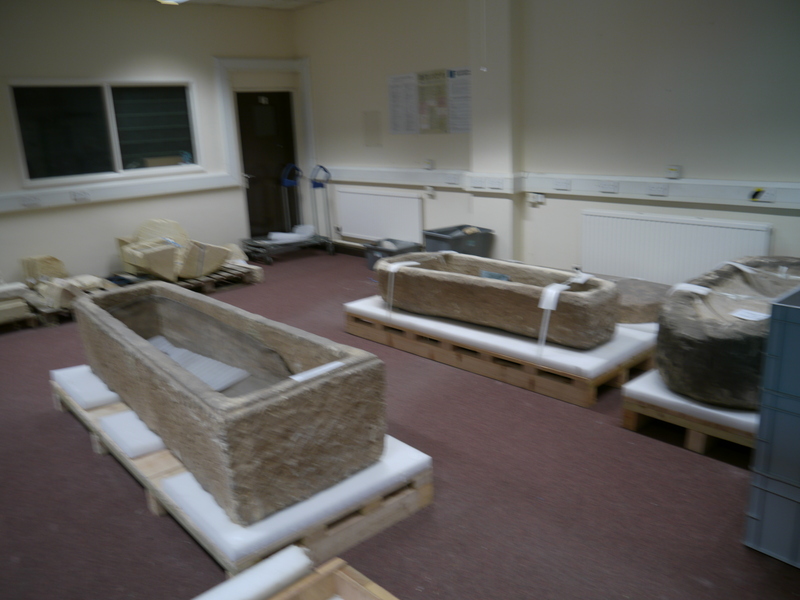 Two large stone coffins with lead linings were also found on the Somerdale site and are also stored in Pixash Lane – along with a 2nd century pedestal base for a statue, whose inscription dates it to AD 155. There is evidence – amongst the finds – for a Roman temple in the area. The Virtual Museum has already covered the discovery of the lost Roman town of Trajectus lying under the playing fields at Somerdale. Ground radar located a circular structure amongst many buildings outlined. This could be the temple. There are no plans to excavate the site. It is understood some of the mosaics on display today will be set in the floor on the new Community Centre – under transparent protective covers – and other objects displayed in sealed cases. 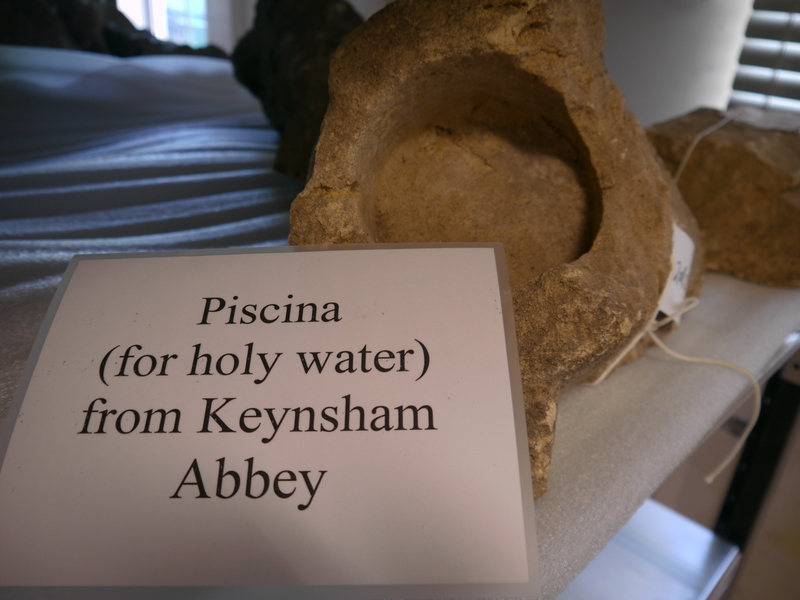 Remains from Keynsham’s remarkable Abbey, which dates from around 1170 and survived until 1539, are also on display in the temporary store. 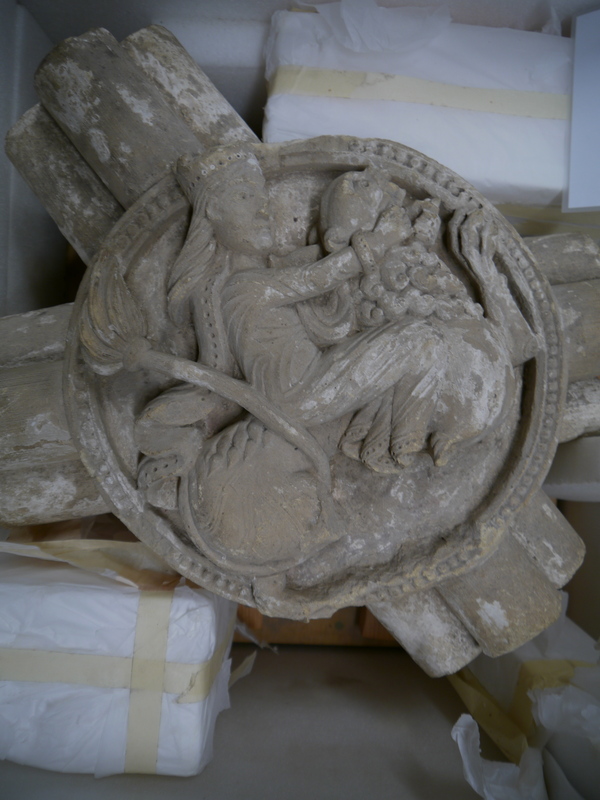 Samson and the lion on a decorated ceiling boss from Keynsham Abbey. They include some of the most beautiful carved ceiling bosses l have ever seen at such close quarters and an exquisite collection of decorated floor tiles with floral and animal designs. 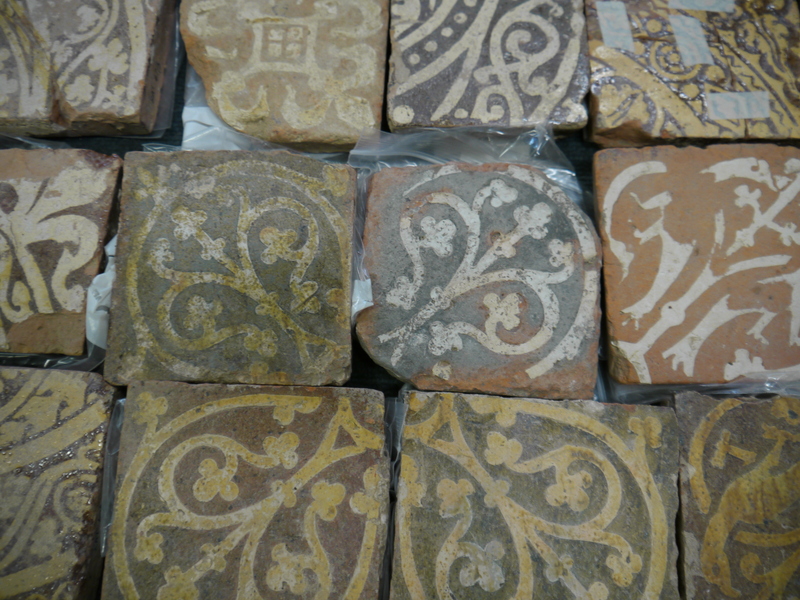 Mediavel decorated floor tiles from Keynsham Abbey. The next opportunity people will have of seeing these treasures will be during the Heritage Days this coming autumn. There is also a collection of semi-carved objects from the Combe Down Bath stone mines. Examples of stonemasons working on site and discarding carvings that were declared faulty before being transported out to the vast Georgian building sites of the city. They obviously make good door stops! Hopefully – at some point in the future – this amazing collection can form part of a real Keynsham Museum and also contribute to what still remains a distant dream and that is a physical Museum of Bath – set in stone!